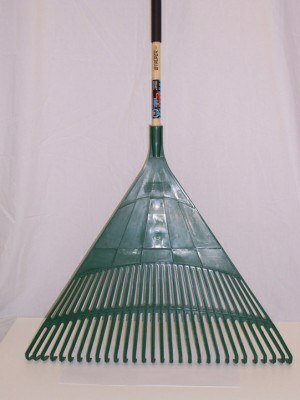 There are typically two types of leaf rakes, metal spring back and poly rakes. The flexible tines of both types allow the rake to not get caught on grass yet are sturdy enough to move the leaves. In general, these rakes are not very heavy and leaves are usually light, consider the larger size wide plastic rakes to cover the most area in the least amount of time. 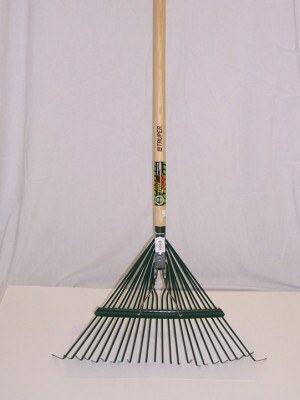 The spring back rakes are usually available in 18” or 22” widths the plastic ones up to 30” widths. The wider the swath the less rakes per square foot is required. The narrower rakes can get into smaller areas and tend to get more of the leaves with a single swipe. Consider the shrub rake. They are an 8” or 10” wide small rake which looks somewhat like a kid’s toy. Don’t underestimate the usefulness of this small tool. It can be used effectively for preparing the bed edge near the edging for more mulch. The shrub rake is a good option for raking dog dug dirt back into the hole with minimal damage to the turf surrounding the hole. 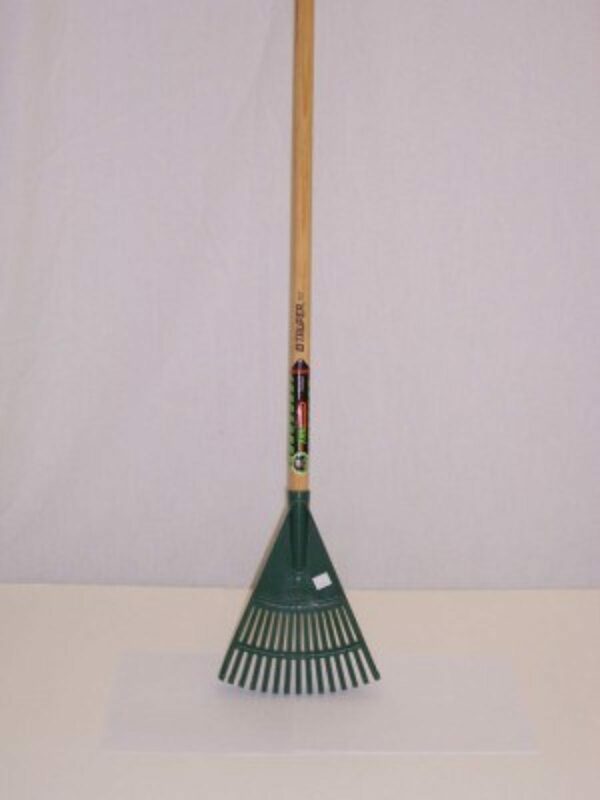 The small rake is designed to rake out leaves and debris from under and around bedding plants and shrubs. It works well for this but also is very useful for a variety of small rake jobs where a bow rake is too aggressive and a leaf rake is too wide and soft. 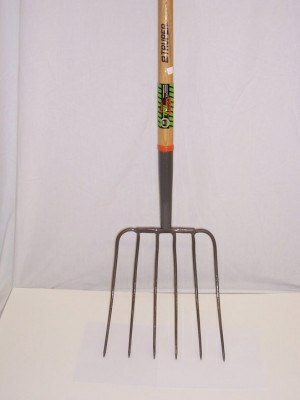 Bow rakes are used for breaking up soil and subsoil and to remove debris from the soil. It is also used in landscape beds to prepare for a new layer of mulch. The bow rake is good utility tool for soil and mulch leveling. 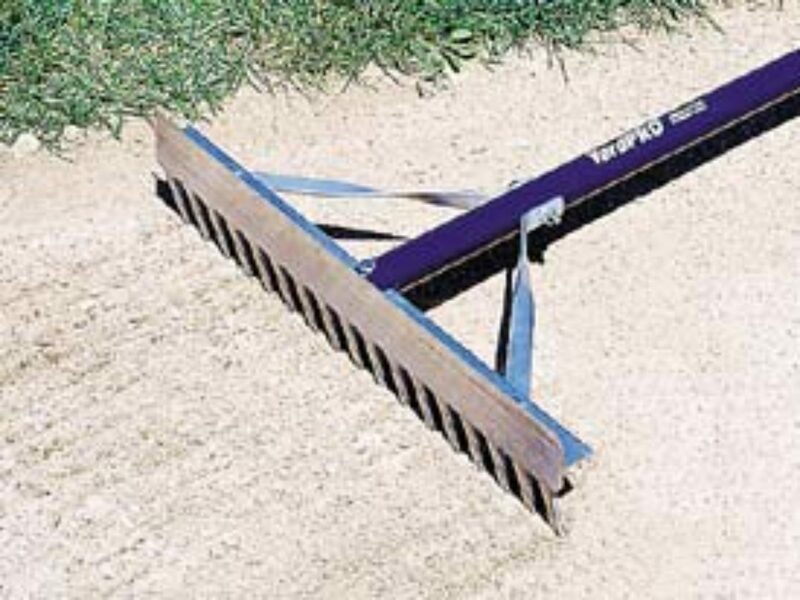 Using a bow rakes is an aggressive way to rake existing grass when refurbishing it. Whether it is scratching up the surface to prepare a seedbed or raking out undesirable growth from the lawn the bow rake is probably the tool for the job. 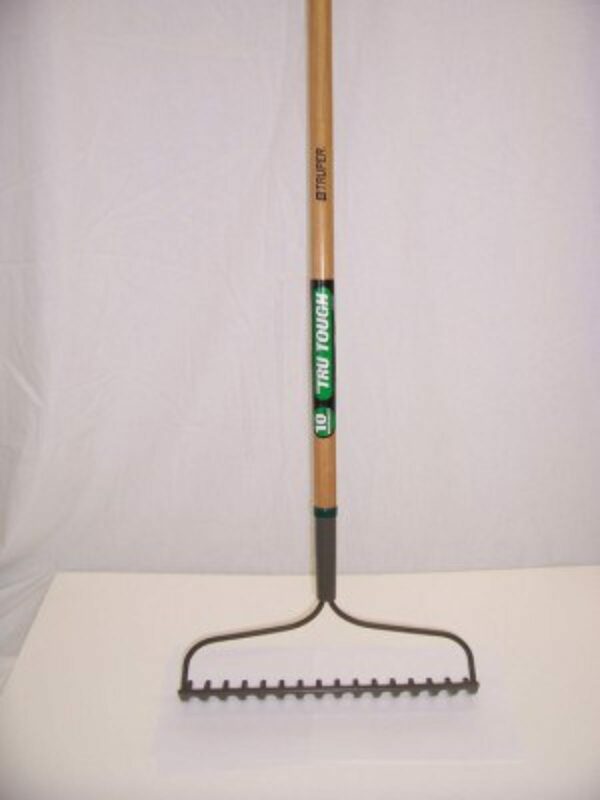 The bow rakes usually have 16 to 22 metal tines and are 14” to 18” wide. Bow rakes tend to take a lot of abuse. The rake has to put up with aggressive action taken to break down dirt clumps and loosen hard soil. The bow rake takes additional stress that the other landscape tools do not. 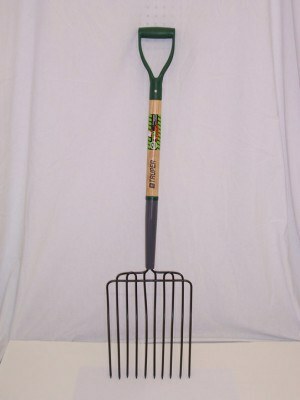 To use the rake effectively you pull back on the rake towards your body. What this action tends to do is dislodge the head from the handle. Also if you use a cheap bow rake aggressively the metal end will deform. It is a good idea to buy a good bow rake, don’t get the cheapest one. also rakes around the soil but removes lumps and debris while making final bed preparations. These rakes are expensive and for a one-time usage it is not a bad idea to rent one for $10.00 instead of purchasing one, unless of course you are an avid tool collector. Make sure you use one with braces it takes a lot of effort to push and pull one of these around so it needs to be a sturdy construction. Pitchforks are useful for handling light semi course to coarse mulches. The mulch has to be coarse enough not to easily fall through the tines. If the mulch is somewhat coarse this is a much better tool than a shovel. 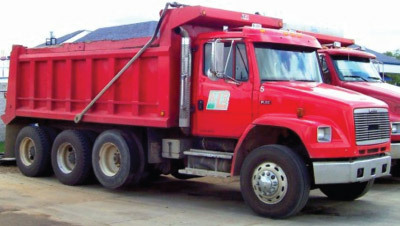 The leading edge of a shovel tends to bounce right off coarser mulch, making it tough to work up a scoop or shovel load. The tines of the pitchfork stick into the pile and it is easy to pull a fork full out. Don’t underestimate the usefulness of a pitchfork when dealing with semi coarse to coarse mulch, a lot of material can be moved in a hurry. This is typically a tool a homeowner isn’t going to abuse much so a lower end one should suffice.